There were so many great blog posts I read this year written about Imbolic, I decided to forgo my plan to publish one on our blog. 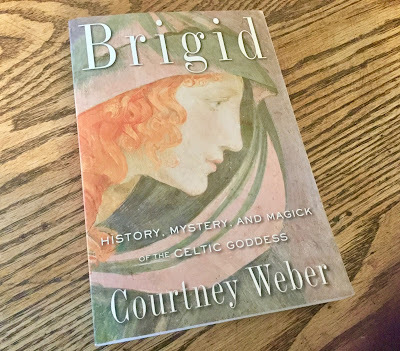 Instead I thought I'd showcase a wonderful book I picked up last year on Brigid, the goddess of spring in Celtic mythology, the goddess whose festival is Imbolic. The book Brigid, by Courtney Weber, was published in 2015 by Weiser Books, and it really is a wonderful historical exploration of not only the goddess herself, but the Celtic mythology, religion, meditations and practices which surround her. This book is very intelligently written and well researched. It was honestly a joy to read...and I learned quite a bit. adding it to their library. Brigid is available on Amazon.